"Process" is the answer now what is the "Question"? These, and many other issues can easily snowball and create havoc in your office by robbing time from the project, creating confusion, and ultimately stealing profit. So what is the greatest single effort you can make to overcome many of these issues and where can you start? The answer is – establish processes. One very simple process, if you don’t already, is to hold a regular Monday morning meeting to review the upcoming weekly workload. This meeting can be like the regular rhythm of the beating heart, and the lifeblood of an office. It is an important time to outline upcoming deadlines, assign work, review project details, or answer questions. It is also a chance to communicate with the staff on priorities, upcoming events, or just have some face time. It can take as long as you want, and there is a lot of information out there on how to make your meetings more productive, but the weekly meeting is an essential process. Checklists are another important process tool. A great book on the application of checklists in the medical environment is the Checklist Manifesto by Atul Gawande. 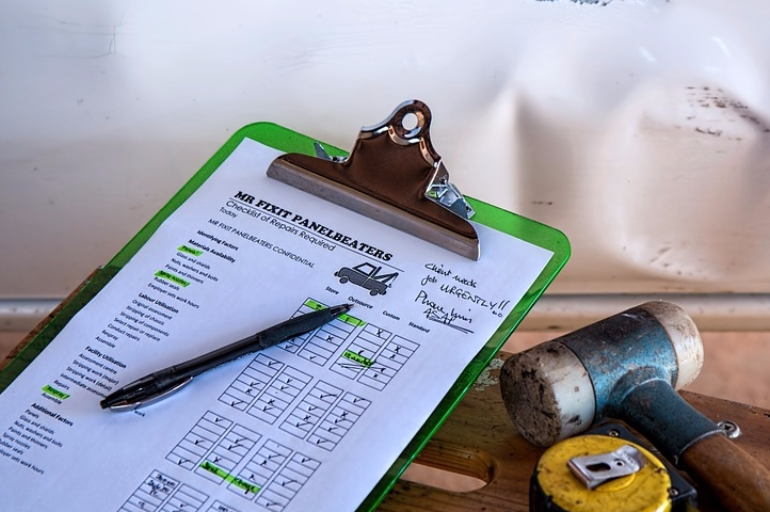 If a checklist can save lives it can certainly improve productivity in your office. One area where a checklist can provide the greatest benefit and save the most time is in the creation and review of construction drawings. A simple list of basic items that need to be included on every drawing can be made, and include for example: drawing numbers and order, index titles, north arrows, etc. It can be as detailed as you need, can save a lot of time, and avoid many headaches on site during construction. Similar to a checklist, is the drawing template that would include all the information, page layouts, references and scales in order to start any construction drawing package. Site visits are another area where installing a process can lead to improved quality, and head off many construction problems ahead of time. You can’t be everywhere at once, so how can you make sure that the junior architect you have in your place can benefit from your site experience? Write down in a list all things you normally look for when on site. Make it a standard form that everyone in the office can use, and add any other reminders or requirements. For example, list the different phases of construction (i.e. foundations, framing, electrical) with a check mark box next to each to indicate if they are complete or not. Sometimes simply recognizing a phase leads to further observation while on site, additional photographs for records, and additional conversation with the trades on the ground that can reveal issues that can be dealt with ahead of time. Lastly, process can make a big difference in Contract Administration. A firm can see instant benefits by establishing any contract administration process. This is where we will shamelessly promote Rform, our online contract administration software that is essentially an established CA process ready for you to use. Rform provides online forms (Change Orders, Supplemental Instructions, Request for Information, Schedule of Values, and Certificates for Payment) that guide staff through an established process that includes; creating and entering information, auto-sequential numbering, simple distribution of forms, receiving of quotes, coordinating comments from the consultant team, obtaining the necessary approvals from the different members of the project team and many other features. Rform provides an effective online process for Submittals. They are submitted online, tracked, reviewed and stored in a single project location that is accessible to all team members at all times. At any point the submittals and attachments can be retrieved and history obtained with a couple of mouse clicks. Similarly, Rform provides an online project folder where project drawings, specifications, site meeting minutes, and much more can be uploaded and instantly made available to project team members to view or download at anytime. These are a few examples of areas where we believe creating and establishing a process can offer you and your firm many benefits that can be realized in short order. Processes are the fundamental building block of any firm, and can lead to better design, better management, better working environment and ultimately can contribute significantly to the success of the firm. The smallest process improvement will lead to benefits, so don’t wait, do what you can to start today!